sleeve labeling machine video from Shanghai Kuixing Packaging Machinery Co.,ltd. Shanghai Kuixing Packaging Machinery Co.,ltd. 00:09 anti-theft capping machine Shanghai Kuixing Packaging Machinery Co.,ltd. 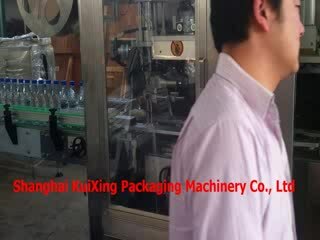 01:47 milk filling machine Shanghai Kuixing Packaging Machinery Co.,ltd. 00:58 filling, capping and labeling line Shanghai Kuixing Packaging Machinery Co.,ltd.